Looking for an instant camera? These are the best Fuji Instax, Polaroid (and other) instant cameras you can buy in 2019. Instant cameras have been around since 1948, with their popularity peaking in the late 1970s. 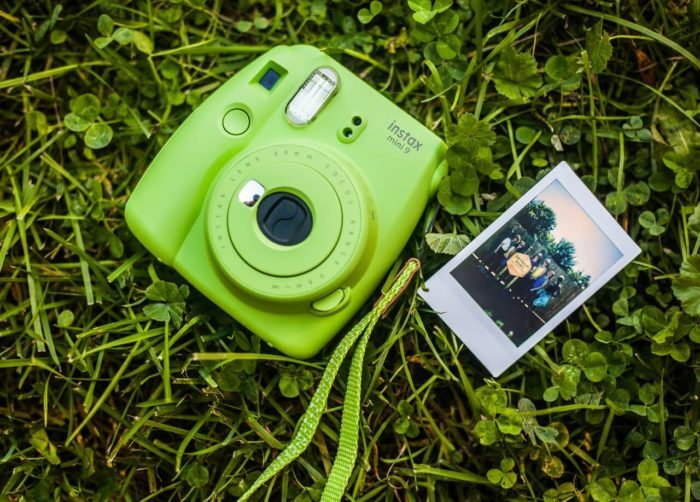 As smaller, newer and cheaper digital cameras became available during the 1980s, instant camera sales slowly dwindled and ultimately Polaroid were forced to declare bankruptcy in 2008. Fujifilm kicked off a massive resurgence in the instant camera market with the launch of their insanely popular Instax Mini 8 in 2012. This was followed by the release of several Instax and Polaroid instant cameras. Therefore if you want to take instant photos at weddings, while travelling, with your kids or to capture precious moments there’s an instant camera out there that will deliver what you want every time. The first question you need to ask yourself is: do you want a simple point-and-shoot camera; an instant camera that captures landscapes perfectly; one that is fun for your kids to use; or similarly do you want something that you can easily carry in your pocket while travelling? If you’re not quite sure what you’re after, our in-depth best instant camera buying guide will help you sort your Instax from your Polaroid. If you want to start shopping for your perfect instant camera, please read on and we’ll quickly explain the basic types of instant cameras on the market. Due to their market dominance, we can classify instant cameras broadly into two main categories: Polaroid and Instax. 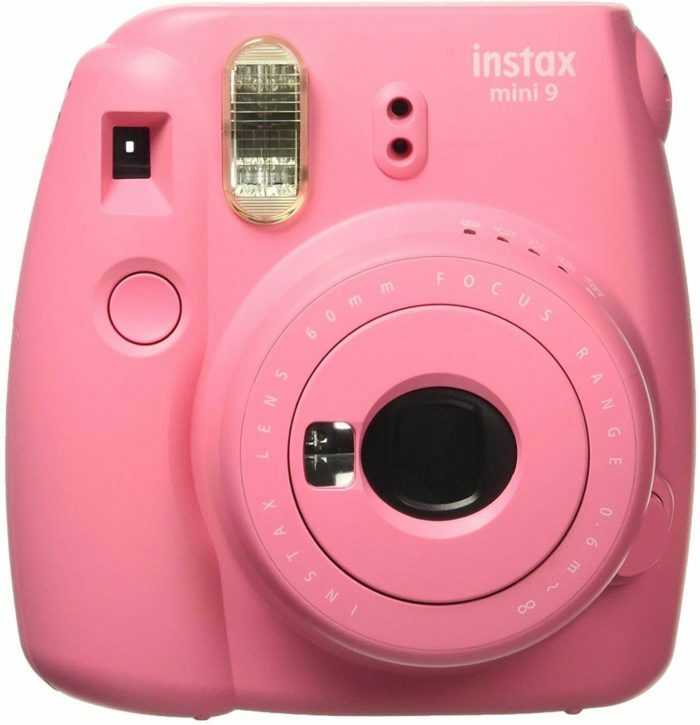 Instax has proven to be a stiff competitor in the market, starting with the launch of the Instax Mini 8 and expanding to the 10 instant cameras they offer today. Polaroid on the other hand has a variety of instant cameras and was the founder of these type of cameras ever since 1940s. All the same, whichever you prefer, both companies have pretty good cameras that are capable of meeting your needs. 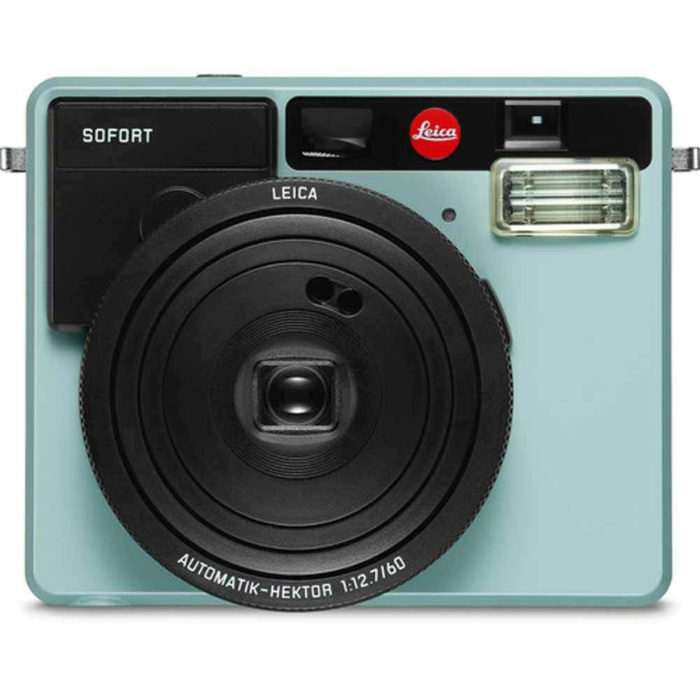 While Instax and Polaroid own the majority share of the instant camera market, there are other noteworthy brands such as Kodak and Leica, which we have included in our review. Before we can start on the best instant camera review, you need to take your time and know what exactly you are looking for. When shopping for a camera, there’s a lot you need to put into consideration. Instant cameras aren’t different. In fact, you need to be more careful when choosing an instant camera. The quality of the camera is one of the most vital necessities. If you are a professional, you will always concentrate on the quality of the camera. Always make sure that the camera has a strong build and gives you quality images. Some of the instant cameras come with a disposable battery while others come with a rechargeable one. Each of these types of battery has its own advantages. The AAA batteries are easily swapped out and convenient. However, they are expensive compared to the rechargeable ones. The rechargeable batteries are economical but you can easily run out of charge when taking a shot. This means you need to stop and look for the nearest place to charge it. If you are a constant traveler, make sure you take an instant camera that is portable. But that shouldn’t be a big problem because most of the instant cameras are designed to be portable. If the camera is too bulky, it might not be the one for you. This is one of the most important parts of a camera. It will help you get the best beautiful pictures in an instant. That’s only if you use the flash appropriately. Make sure the camera you are about to choose has a flash that’s capable of varying its intensity when needed. Read on below to check out the full review of our top picks. The first thing that will strike you when you purchase this camera is its amazing vibrant color. If are a fan of bright colors, then this is the best option for you. The camera also comes with a slot for AA batteries. The best part about this camera is that it has a selfie mirror. Meaning you don’t have to look for someone to help you take a picture of yourself. Just use the selfie mirror. With this camera, you will be able to adjust the flashing LED to the desired setting and hence take amazing pictures. More importantly, the pictures will have no errors. The flash LED can easily detect the right brightness and adjust accordingly. The camera also comes with a high key mode that allows you to take quality photos with a delicate look. Customize your pictures to the desired look without too much of a fuss. This camera will help you take your skills to a professional level. The Instax Mini 9 is quite portable. You don’t have to worry about taking it with you on that school trip. You can easily fit it in your bag or pocket. What’s more, there’s no ink in this camera. That means there’s no need to worry about the ink running out. The Fujifilm mini is capable of taking close up photos that are of top-notch quality and clarity. Films take about 3 to 4 minutes to fully develop. You will be able to see the image a minute after the shot is taken. It’s way faster than having to wait a half day or sometimes two days for a film developer to develop your photos. Get the best moments captured with this amazing camera. The Fujifilm mini has a selfie mirror that will help you take amazing selfies. The camera also comes with an automatic brightness adjustment dial. Another feature is that the camera has a high-key mode. Basically, that means you can take a picture with a softer impression. The camera also has a professional lens that lets you take amazing close-up photos. The camera comes with disposable batteries. These batteries might be expensive in the long run since you will have to buy new ones every time. Well, I must agree that the Polaroid Originals Ones Step 2 instant film camera is the ideal retro-cool camera. It boasts of its ability to satisfy your need for physical printed pics just a few seconds after it has been captured. The pictures that are taken with this instant camera have that ideal cool retro touch hence they will delight you with attractive and artsy pictures. Although the black and white pictures that are taken with this instant camera are bomb the coloured ones on the other hand fall a bit short. That’s when compared to the modern digital cameras like the today smartphone cameras. All in all, if you are cool with that, this should be your go to instant camera any day. The design of this camera is cool and really cute I’d say. However, at first you’ll be shocked how huge it is and quite bulky too when compared to the shooters we have today. That said, it’s fairly easy to get used to its size, the many buttons and levers too. Also, it comes with a neck strap which is a great addition as you’ll be able to carry it around with ease. In case you are wondering about the picture quality of this camera, all I’d say is that you are likely to have luck mostly with the black and white pictures. The consistency with colour photos is not quite guaranteed. At times you’ll get blurry, or too over exposed pictures but when the shot is right you’ll love the vibrancy of the subject. You can’t deny the fact that Fujifilm has some of the best instant cameras in the business. 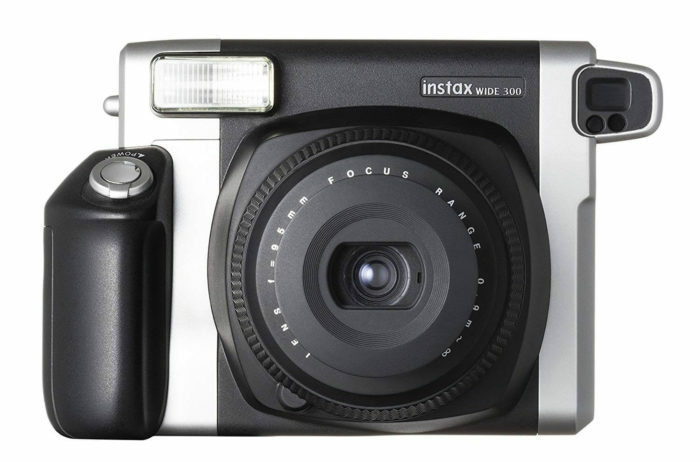 And the Instax Mini 90 Neo Classic camera is no exception. The camera can automatically detect the brightness of any environment and adjust accordingly. That means it will reduce or increase the flash and also the shutter speed. This will ultimately help you get high-quality images required for weddings. It also comes with a macro mode that makes it possible to take photos close to 30 cm. More to that, the shutter has a bulb mode. The best part is that you will be able to get quality images with this design. The camera comes with a kid’s mode which will help you get a picture of your kid while he or she is playing. The camera comes in a beautiful and stylish construction. Some of the customers noted fault in its functionality after 5 months of use. This is that one camera you can take to any occasion. The Leica instant camera will not only give you great pictures, but you will also have the chance to print it out instantly. Capture all those beautiful moments in only one snap. The camera has 3 focus steps which give you a chance to be more creative and take amazing shots. This is the perfect travelling companion because the retractable lens makes this camera very portable. You can easily carry it wherever you go. Unlike most of the standard instant cameras, the Leica film camera comes with a 1/8-1/400 sec shutter speed. It also comes with a self-timer that allows you to take that group photo you’ve always wanted to be in. The sport and action setting in this camera makes it easy to take pictures of moving objects, for example, skateboarding stunts. The battery life in this camera allows you to take 100 pictures. This stunning Instant camera by Fujifilm is able to capture the beauty of every moment. With its impeccable square format, you don’t have to waste each precious moment. Use this SQ6 camera to freeze those tiny joyous moments for life. The camera comes with a selfie setting and mirror. This will allow you to take selfie pictures with ease. Also, the Instax Square SQ6 instant camera has an automatic mode on the selfie setting which seamlessly adjusts its brightness when you are taking a selfie. Equipped with automatic exposure control, the Fujifilm instant camera is able to adjust the brightness of both the subject and the background. That means you will take extremely good photos regardless of the time of day. What’s more, the camera also comes with a flash color filter that you can use to enrich your pictures. Practically speaking the camera weighs about 8 ounces. On top of the fact that it is very light, this camera can also fit in your pocket. Therefore, you can easily carry it wherever you go. Unfortunately, there’s no memory card option in this camera (for that you can consider the Instax Square SQ10). That means you can only use the analog option only. More to that, the camera only uses CR2 batteries for better and clear pictures. However, these batteries are not rechargeable. The best part about this camera is that it has a retractable lens. That makes it more compact whilst maintaining a good zooming power. It also has an automatic selfie mode that adjusts brightness and focus. Additionally, the camera comes in a strong and beautiful Gold construction. The flash is not as bright as expected. Well, if you are a professional photographer and you are in love with the vintage instant camera, then the wide 300 Instax camera might be your best option. It’s a little pricey compared to the rest of the cameras in this list but with good reason. 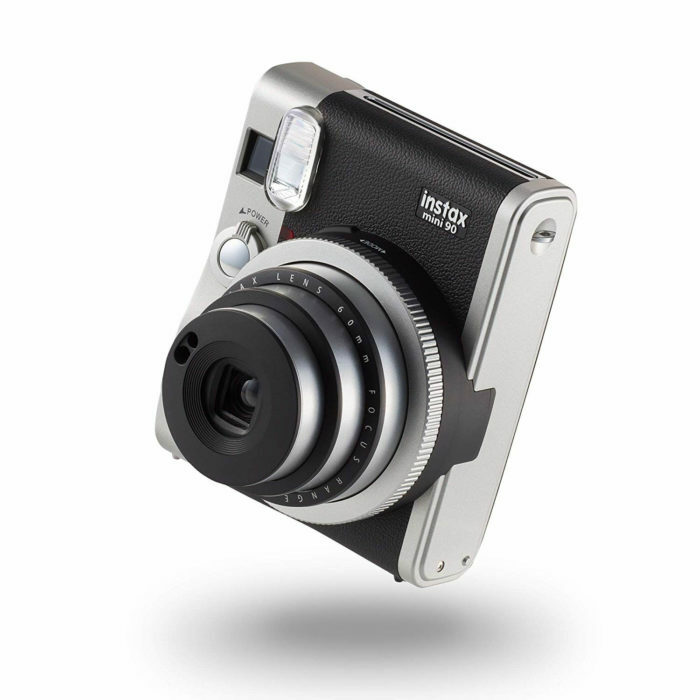 The Instax Wide 300 camera comes with two focus zones which help to bring most pictures to life. More to that, the camera has a sturdy and robust construction. It also has a tripod socket so you don’t have to worry about mounting this camera on your tripod to capture picturesque landscape photos. More importantly, with this camera, you are able to take shots that are close up (up to 40 cm close) without any difficulty. As a professional photographer or serious enthusiast, you need to have control over the brightness of your pictures. This camera has made it easy with the light and dark control feature. 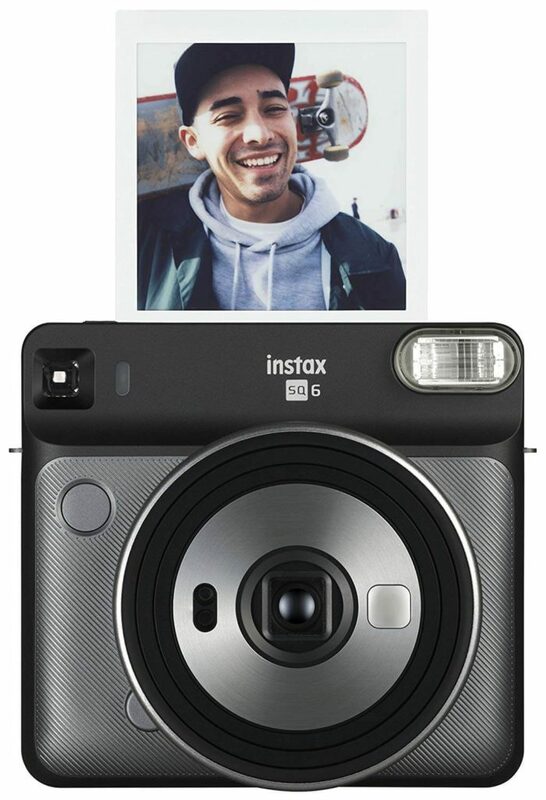 The Instax Wide 300 has a distinct black color that gives the camera a stylish look. The wide photography film in this camera also makes a good group photo. Unfortunately, the camera doesn’t have a self-timer but comes with a macro lens that’s detachable and also has a small mirror. Therefore, you can use the mirror to take good selfie photos. It’s easy to use and comes highly recommended for anyone in love with photography. You don’t need the manual to actually understand how it operates. More importantly, its simplicity doesn’t compromise its impeccable photo quality. The best part about this camera it that it’s very portable. Aside from the fact that you will have to carry the macro lens, you don’t have to worry about carrying the camera around. It weights about 2.1 pounds which is considered to be very light. 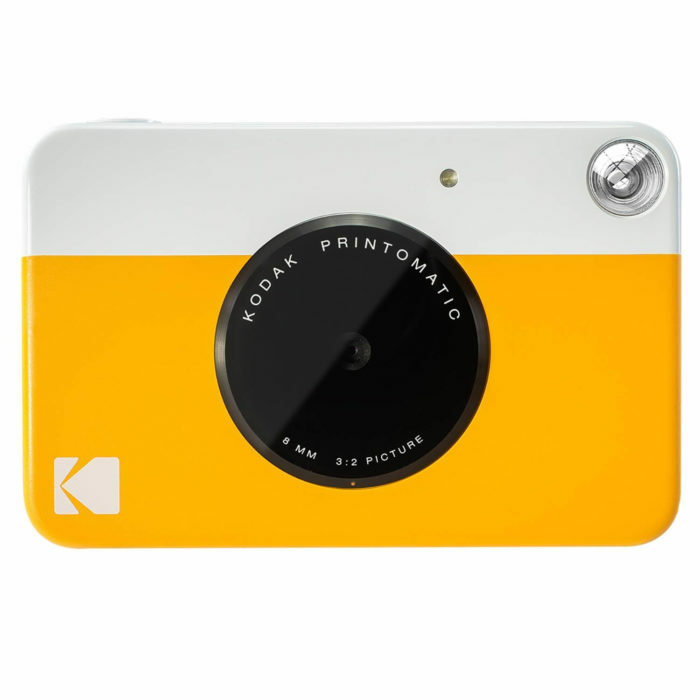 The new Kodak Instant Print Camera is one of the best devices of its kind. It comes with an amazing design and is perfect for kids! You can also pick the best color for you. More to that, it automatically prints high-quality pictures in minutes. You can easily pick up a good photography project with this camera. If you have a friend who loves photography, then this is the best gift you can give them this year. The best part about this camera is that it’s quite easy to use despite its technological advancement. Now, you can enjoy your photography adventures. The camera has full print colors so you don’t have to worry about the colors in your pictures. It also comes with a built-in flash for low light areas. Additionally, the camera has a memory slot so you can store your soft copies of any picture you take. Not to mention, the camera also has outstanding high-quality shots. Simply just point it to the direction you need and snap! Just like that. You will have the print in no time. It comes in a solid and beautiful construction. It also comes with a flash for low light areas. Some customers complained of its poor quality image. Enjoy taking instant pictures with the Fujifilm Mini 70 that comes in a variety of distinct colors. If you are a die-hard fan of selfies, then you should put this camera in your bucket list. 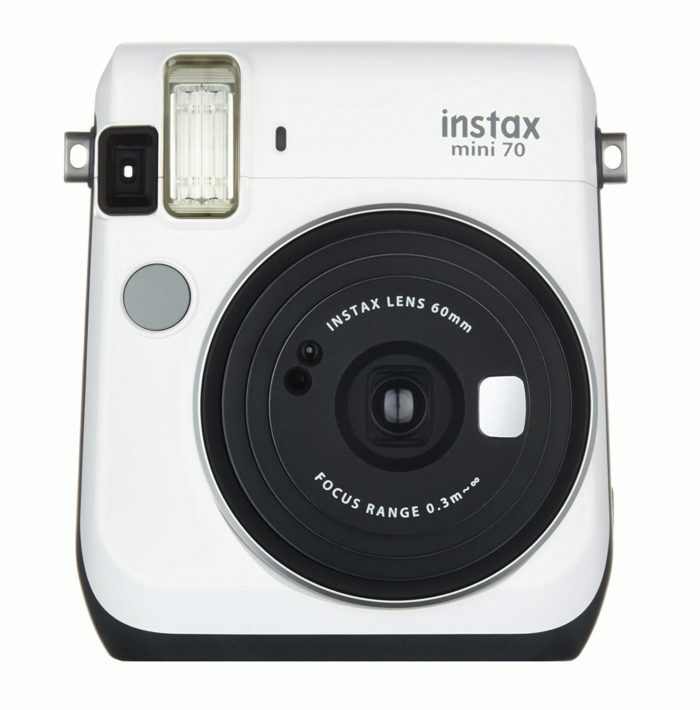 The Instax Mini 70 has an automatic exposure control that lets you capture photos in a more professional way. Now, your pictures will have that natural element you’ve been looking for. On top of that, this camera ensures that your pictures have a beautiful background and the best clarity possible. With this camera, you will enjoy photography and possibly lift up your skills to a professional level. Another reason to buy this camera is that it comes with a selfie mode that’s very easy to access and use. You simply have to press the selfie button and it will automatically adjust the brightness and focal length. More to that, the camera also has a selfie mirror that allows you to have a clear idea of how your selfie will turn out. You don’t have to struggle to find the best posture for your selfie. Additionally, the camera has a self-timer button that allows you to take a group photo. You can also set the self-timer feature to take multiple pictures which allows the camera to take a second image once the first one is finished. That’s not all! The camera also comes with a Hi-Key Mode which helps to capture the best out of your skin tone. If you are looking for an affordable way to get the best print pictures, then this might be a good option. The camera comes with an easy to use selfie mode. It also has a selfie mirror that allows you to take a preview of the selfie. The Fujifilm also has a self-timer which allows you to take a group photo. The Hi-Key feature in this camera makes sure you have the best skin tone. The camera also has a tripod mount to reduce blurriness in your photos. Some of the customers complained that the camera didn’t work on the first day. You will notice that one of the most outstanding features in most of the above cameras is the ability to take a selfie. Each camera has a unique way to make this experience easy. Some of them actually have a selfie mirror that makes this process even more enjoyable. More to that, you will also notice that cameras with the rechargeable batteries are preferred over the ones that have a disposable battery. Although both batteries have advantages and disadvantages, the rechargeable one seems to be more economical. But the quality of the picture taken should be your primary focus. An instant camera that can give you that amazing picture is worth every penny. Take your time and scroll through the above cameras and find one that best suits your needs. The idea that you can actually hold a print of your picture in a matter of seconds is quite fascinating. It’s also the perfect connection between film and digital. A few years back, you would have taken your photo to Snappy Snaps and let a professional technician go through your pictures to find one that’s exposed correctly. With an instant cam, you retain the pleasure of picking a picture that best suits you. Most of all, you can now have your own picture as soon as it’s taken. The best part is that the picture will also have clarity as if it was picked from a development room. Most people don’t believe that you can still keep print photographs as memories for a future date. We’ve been taken by the today’s way of sharing photos that is social media, that we forget the old traditions of photography. The instant camera is a perfect way to bridge the gap between these two styles of photography. You will be able to hold on to a vintage print photograph that can be used as reference in the near future. Imagine being able to share memories with your grandkids the same way you grand parents did with you? Well, the camera then was basically black and white but I know you loved every moment of that bonding session. Are you in love with scrapbooks? Do you constantly search for the next craft project on Pinterest? Well, if yes then an instant camera will do you good. When using a digital camera, you will need a printer for such crafty work. On the other hand, when you are using an instant camera, you will be able to hold the picture in your hands in a matter of minutes. Meaning, with an instant camera, you can spend less time printing and more time thinking of your next crafty project.